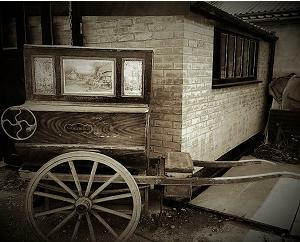 Barrel Organ Music Site - Organs for Sale - Barrel Organ repair, tuning & restoration. For more than 45 years the family run business of Dean Organ Builders have been tuning, restoring and repairing barrel street organs, barrel fair organs, barrel chamber and house organs as well as barrel pianos. We are one of the few experienced English mechanical organ builders who will still undertake work on this type of organ which uses a barrel operated mechanical action. With our extensive experience in repairing and restoring mechanical barrel organs we can offer a bespoke service to rebuild / restore your instrument, tailored to suit your requirements and budget whether a complete restoration or partial. We have experience in restoring organs from the most derelict condition, including re pinning of barrels. We use specialist conservation techniques enabling us to retain as much as is possible of an original instrument when restoring early historical barrel organs. Our experience of repairing and restoring barrel organs cover many different manufacturers including, Alderman, Gebruder Bruder, Bryceson, Chiappa, Imhof & Mukle, Longman & Broderip, Pyke, Thibouville - Lamy, Varetto, Wellershaus, and Wright & Holmes to mention just a few. Our workshop is equipped to carry out all aspects of restoration including manufacture of any missing or damaged parts. We have an extensive archive of sizes relating to vintage organ parts and pipes enabling us to duplicate original designs if required. As well as the restoration of the playing side of the organ we can also undertake if required the conservation or restoration of the organ's case work, cabinetry and marquetry. 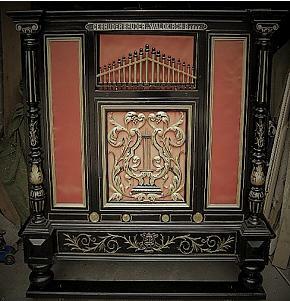 Should the organ be of the fairground type and fitted with a decorative façade we can also undertake restoration and finishing work including replacement of missing, damaged or incomplete carvings. All of our manufacturing and restoration is carried out to the highest standard, using the finest quality materials and you are assured of quality English craftsmanship carried out in the best traditions. Not only should barrel organ restoration be carried out to the highest standard, it is very important before such work begins to have a conservation / restoration plan to establish the best course of action. When formulating the way forward it is essential that the instrument's history is researched, it's current condition analysed and in conjunction with the customer a plan for the work established taking into account these factors. No two restorations are ever the same and many factors will have to be taken into account in formulating how to proceed. Some organs will need to be approached as conservation projects, conserving all original parts and designs because they are unique or have survived with little or no alteration from new. There will be other organs that are far less original, where over the years alteration or poor repair work has taken place; in these situations it could be that the alterations will need reversing and correct mechanisms making to bring the instrument more in line with the builder's original intention. We are also faced at times, with organs that have been so altered or badly deteriorated that it can be considered acceptable to reconstruct certain parts. When new parts have to be constructed, these can be left looking new, thus enabling a visual historical record of what has been carried out. Alternatively we have experience in aged finishing techniques. In some restorations it can be appropriate to make new parts look period, giving the impression that the organ has survived without major work. We are always pleased to offer guidance on the best restoration approach that will not be detrimental to an organs historical significance. Not only do we have experience of working on barrel pipe and reed organs, we also have restoration and repair experience on barrel pianos. Having worked on many different instruments including Chiappa, Gavioli, Hicks, Keith Prowse, Pasquale, Pesaresi, Robino, Rossi & Spinelli, Taylor, Tomasso, & Wintle to mention just a few. We have over our years in the mechanical music business acquired pin stock and equipment from many of the original manufacturers. This includes purchasing the remains of Pasquale & Co, Highgate, London established 1860 following the death of its last sole proprietor Richard Chenley. 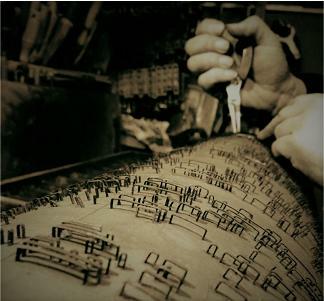 The original equipment we have together with tools and specialist jigs manufactured in house here, enable us to carry out all aspects of barrel piano tuning, restoration and repair. Barrel pianos have in the past often been considered by some people as the poor relation of the street pipe organ and this has often led to these instruments being badly neglected and not repaired properly. These instruments are actually a very important part of the UKs social history and deserve to be restored properly so that they play in the way the manufacturer intended. A good barrel piano if set up and tuned properly, can be a joy to hear offering a glimpse of the past when these instruments could be heard in pubs and on every street corner in the UK. To view barrel, book and paper roll playing organs restored or built new by Dean Organ Builders why not take a look through some of our YouTube videos you can find links by clicking HERE.